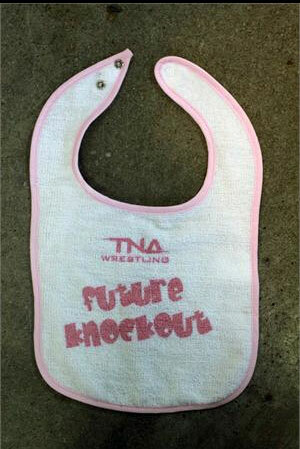 Someone Bought This: Future Knockout Bib - WrestleCrap - The Very Worst of Pro Wrestling! 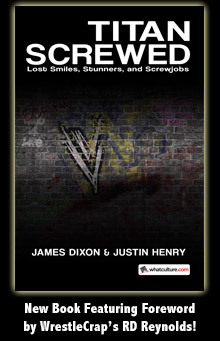 With it being the Knockouts division, which has been absolutely leveled as of late, you can understand my confusion. I am still confused by one thing, though – why does this bib appear to be absolutely filthy? Are they used? 3 Responses to "Someone Bought This: Future Knockout Bib"
I would guess everything at TNA is sloppy seconds. Samoe Joe used it as a napkin. The bag of flour that makes up 1/2 of the Knockouts division used it to cook with.